Taking into consideration the oversaturation (abundance) of the market with e-tailers offering all possible goods and services it's very difficult to make your business competitive in such circumstances. Most business owners are concerned about how to make their business more attractive for potential customers. Best way to do it is ask them. It's the most simple way to find out what your customers want from your service or product. The thing is that most of the time service-providers suppose that they know exactly what people want and expect. But quite often they are wrong and it appears that customers wait for different things. As the result, e-tailers fail to understand why customers leave their website or abandon shopping carts. If they paid a bit more attention and listened to their customers many of such cases wouldn't take place. The launch of your product, service or website is the right time to start doing that. It's more simple to find out what functionality your users are missing or fix bugs at the very beginning. Therefore, if you don't have feedback you can't fix your product. I understand it is not easy to keep track of all customers feedback. 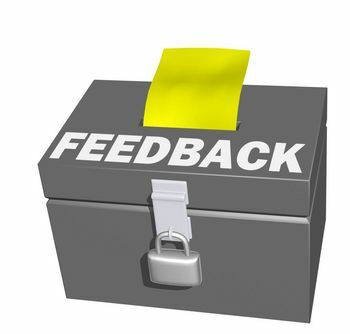 Would be great if all the feedback is centralized in one place and is easy manageable. Most likely, you will need some assistance with this matter. Surfing the net you can find a number of services offering you a solution. Such services solicit feedback and then allow people to vote on each other's ideas. I say you pay attention to BetaEasy. Besides all basic functionality like that of other similar services BetaEasy also has features which make it stand out. It can be easily integrated with any website, software, application whatsoever, regardless of programming language or e-commerce platform. But the main thing is not that you get the user feedback you should also react to it. Listen to customers wants and needs and act accordingly. Right priorities should be set and you'll be surprised how in short period of time that will influence your website traffic amount, number of downloads and profit rates.